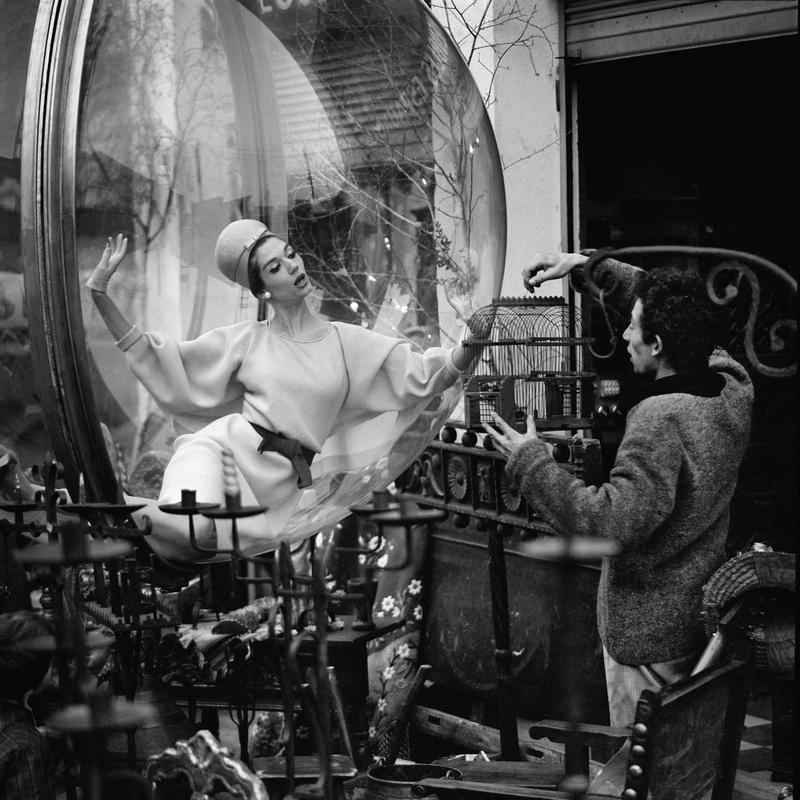 The iconic "Bubble" series was created by fashion photographer Melvin Sokolsky for the opening pages of Harper's Bazaar in 1963. With no formal training, Melvin Sokolsky's photographic education came purely from instinct, desire, and careful observation. Upon learning that photographers could make money for "just taking pictures," Melvin Sokolsky was seized by visions of a previously unimaginable career path. 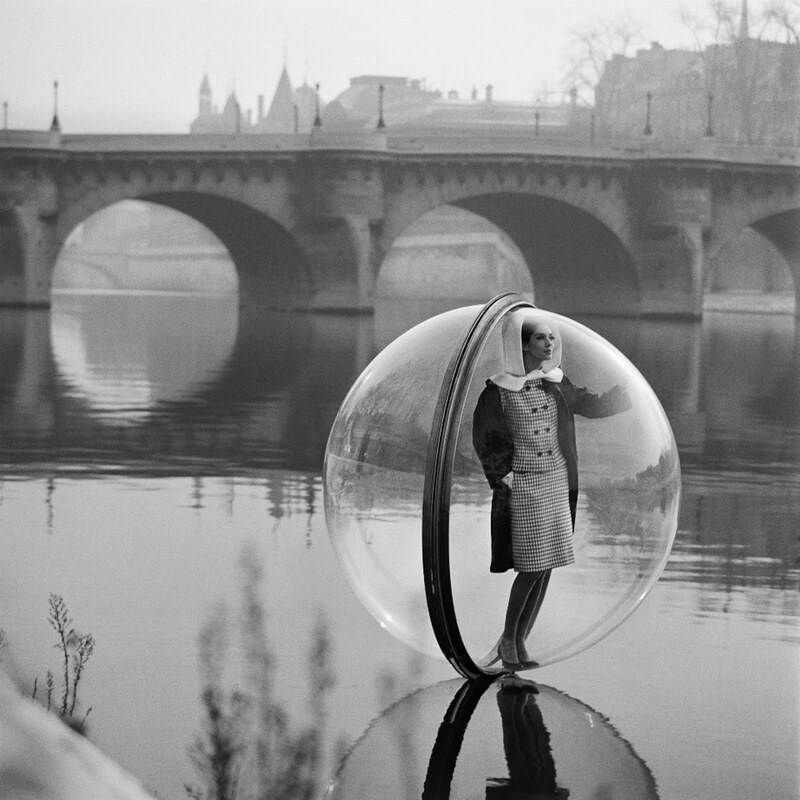 These remarkable "Bubble" photographs, with Paris as a backdrop, display the 1963 Spring collection in a futuristic way that entranced the fashion- and art crowds. 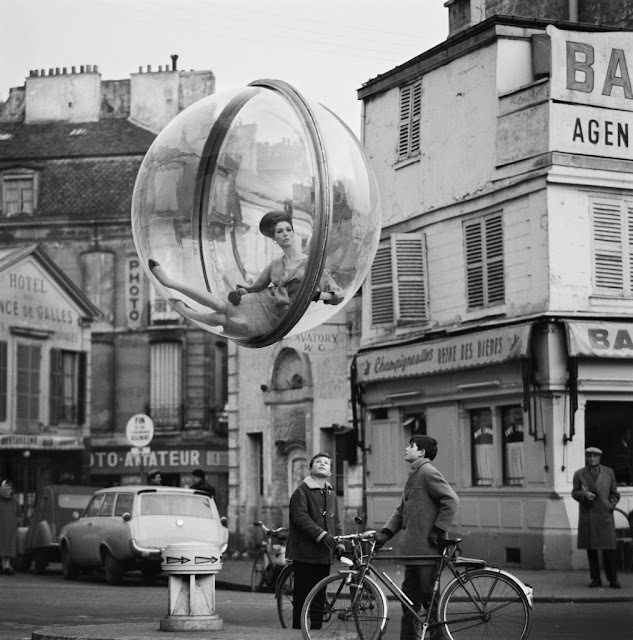 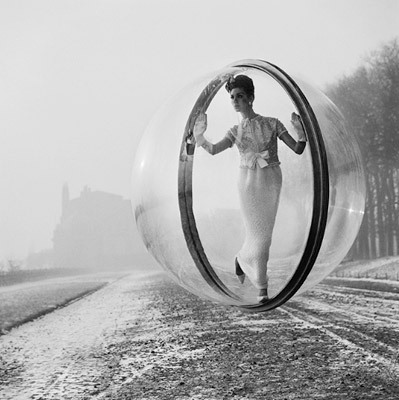 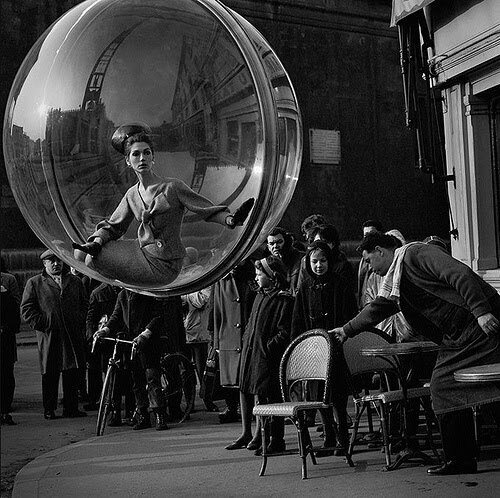 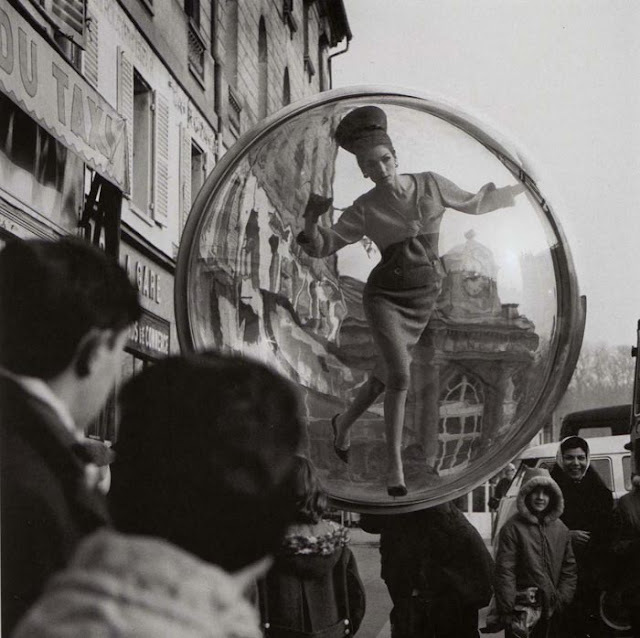 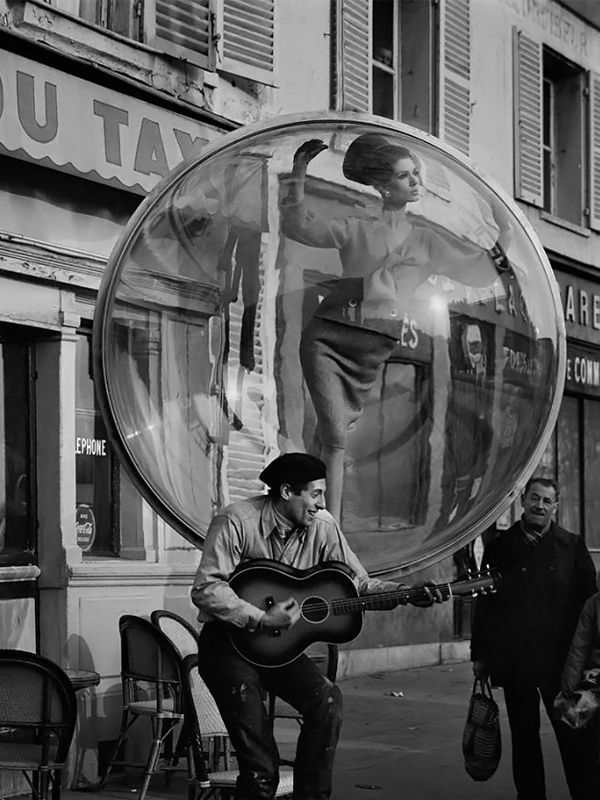 Melvin Sokolsky's "Bubble" series constitute a kind of finale to the fantasy era of Paris fashion, a warm-humored tribute to inexplicable excess. 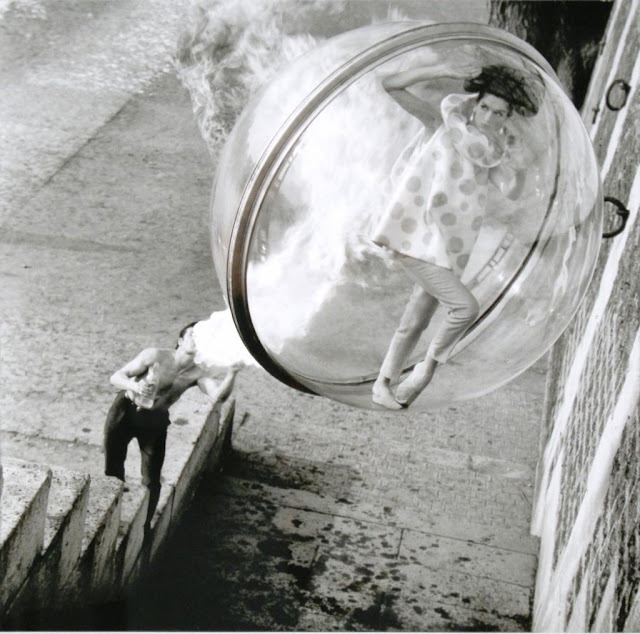 Salvador Dali, whom he met at this time, became convinced that Sokolsky could actually make him fly. 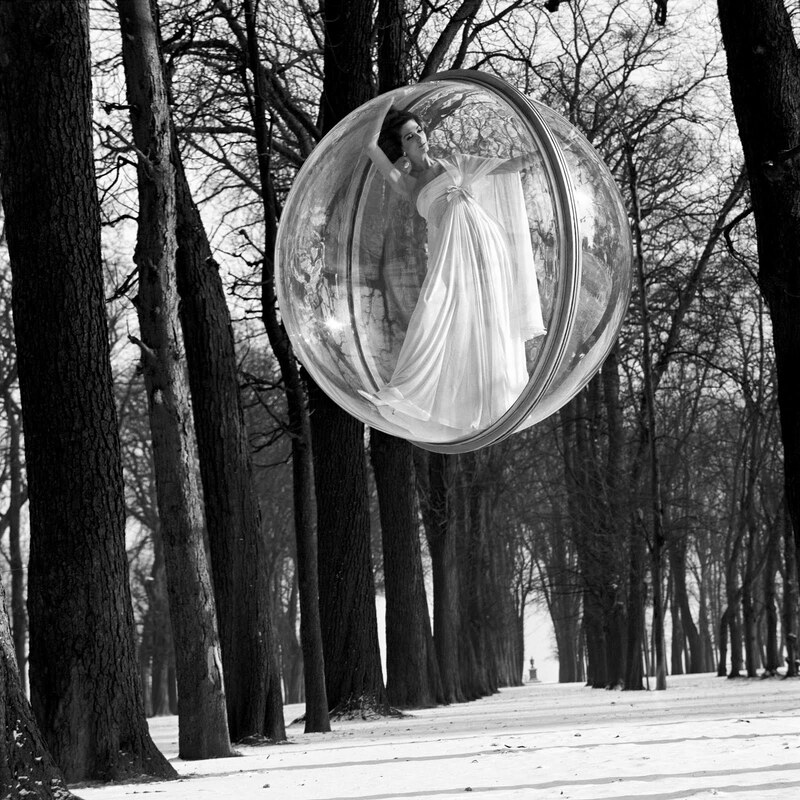 The logical outcome of the epic "Bubble" pictures for Sokolsky was to investigate further the simulation of flight, of weightlessness, which he did in some compelling sequences that continue to influence fashion photographers today. 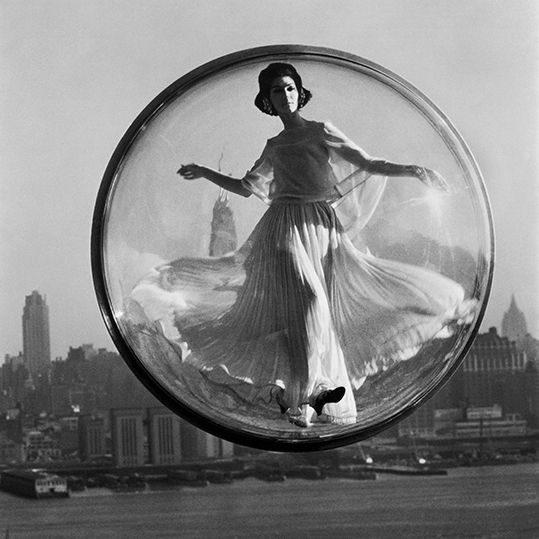 The above Melvin Sokolsky photograph was taken with New York City as a backdrop.